I am so excited to be sharing my DIY IKEA pantry today! 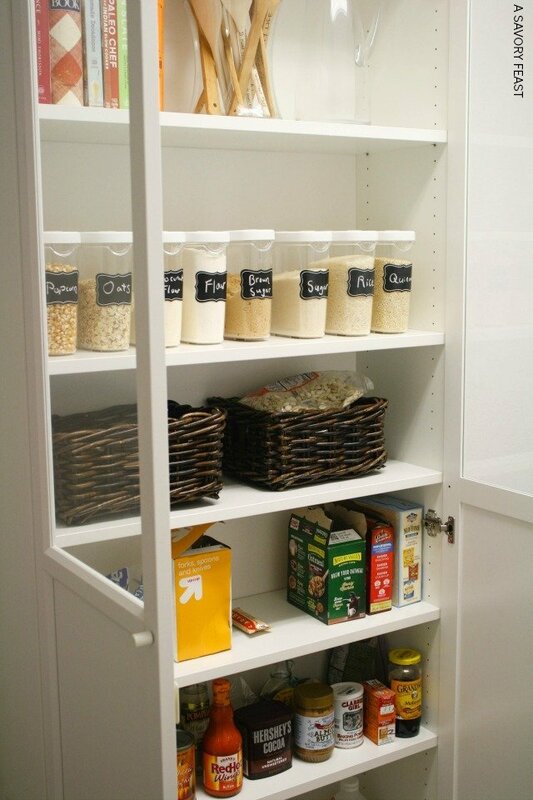 This is an easy and inexpensive way to add a pantry space to any house, even if you don’t have much room. This post is not sponsored by IKEA in any way. 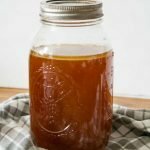 I am just very happy with my pantry hack and wanted to share it with you! 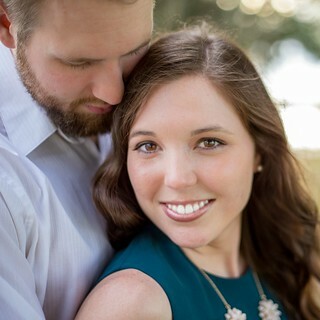 When Andrew and I were house hunting this summer, I quickly realized that a lot of the houses we were looking at didn’t have a designated pantry. I started to brainstorm ways to add a pantry and figured that IKEA might have a solution. We ended up buying one of those houses that didn’t have a pantry. We do have a nice sized laundry room just off the kitchen, so I decided that would be a good spot to add a pantry. I did some research and decided that a Billy bookcase would work great! I went to IKEA and bought this white Billy bookcase and two Oxberg Panel/Glass doors. I also grabbed eight of the 44oz 365+ Food Storage Containers and two of the Byholma Baskets. 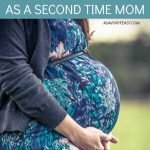 I really wish I would have taken a picture of my very pregnant friend Katie and I trying to figure out how to fit all that and 6 dining room chairs into my Honda Civic! I’m pretty sure the guy who helped us load up got a big kick out of it. I picked the Oxford doors because I think it makes for a really pretty pantry! I used the top half for items I don’t mind being displayed, and then put all the boxes, cans and jars in the bottom half. What makes the Billy such a great pantry is how easily you can customize it. The single bookcase like this is plenty of room for a family of two, but if you have the space you could easily add a second one right next to it. You can also adjust the shelves anytime based on the products you keep in your pantry. The 365+ food storage containers have been great for storing my dry goods! The also have a bigger size that I might upgrade to someday, but for now the 44 oz containers hold enough for us. I picked up some chalkboard labels at the craft store to write down what was in each container. I saw the Byholma baskets in a display at IKEA and couldn’t resist! They are great for storing vegetables or random items. I made my bottom shelf the tallest so that I could keep bigger items there, and then made the next two a little bit smaller for bottles, cans and boxes. Because the pantry is so shallow, I can always find what I’m looking for quickly. Nothing gets hidden all the way in the back! No pantry? No problem! This IKEA hack is the perfect solution for a small space. We have been so happy with our new pantry! It’s been the perfect space to keep everything neat and organized. I’m excited to share it with you today and hope you found some inspiration! What are some of your favorite IKEA items? 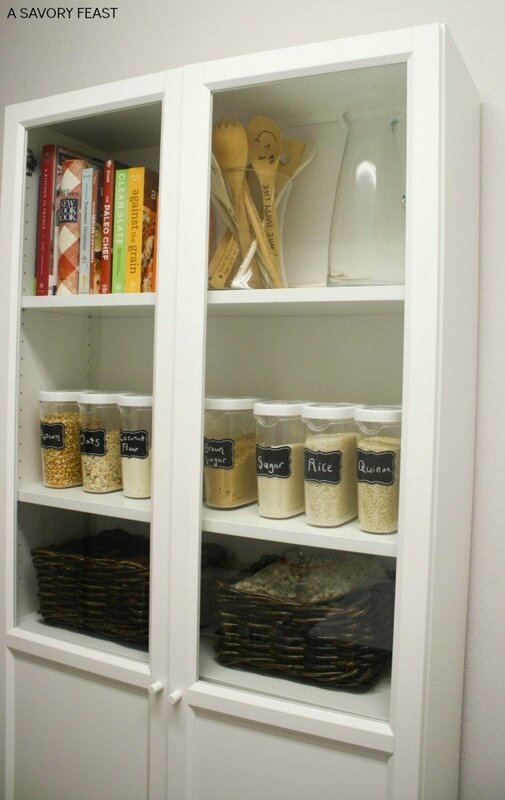 Definitely a great idea for someone who doesn’t have a pantry! I also like Jaelan’s idea about making it a liquor cabinet because the bottles would look pretty in the glass – and my pantry is ANYTHING but see-through-glass worthy! I agree! Good thing I have room next to it for one more. I love it! And the glass doors will make you keep it organized since you can see it. Great idea for additional storage! Exactly! 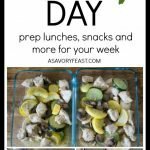 The food storage containers are great to store in the glass part since they look so pretty and organized. Organization is my jam! I was so happy to have a pantry in my house thanks to this Ikea bookcase. Thank you! The glass doors definitely are my favorite thing about this pantry. I love how they look! This is such a great idea! 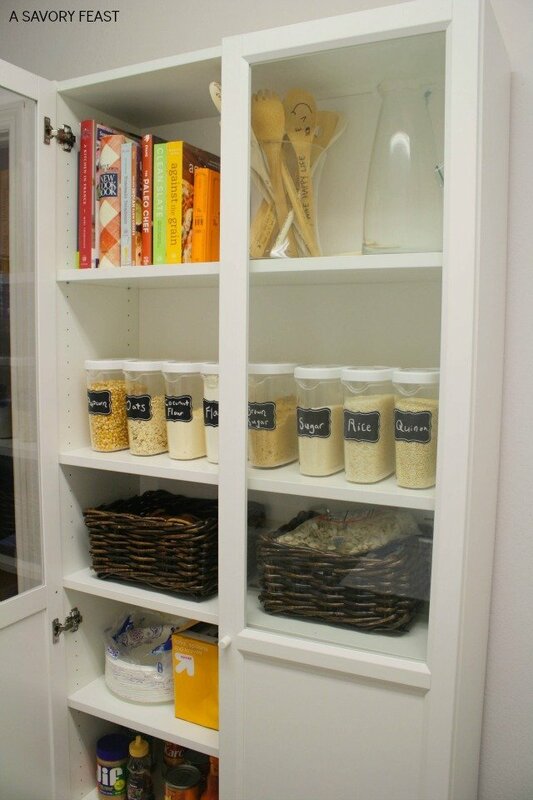 We always struggle with pantry space and this seems like the perfect way to combat the issue!! This was perfect for me! I love how it doesn’t take up much room but it provides plenty of space to get organized. Genius I tell you! This looks so great! I love this and it’s funny because my parents just did this in their own home. They love to cook and have every single cooking tool and ingredient you could possibly imagine. I believe they have three bookcases they’ve used to create a pantry! What a great idea! That’s awesome! This bookcase is the perfect pantry. I love that if I need more room, I can just add another one right next to it. This is genius! We don’t have a pantry, and I love how clean this looks! You should do this! It was the perfect way to add pantry space and it doesn’t take up much room in my house. This is lovely! We are starting to look at plans for an IKEA kitchen (whole reno!) and this is a great idea. I have seen awesome things done with the Billy Bookcase (yay Pinterest!). 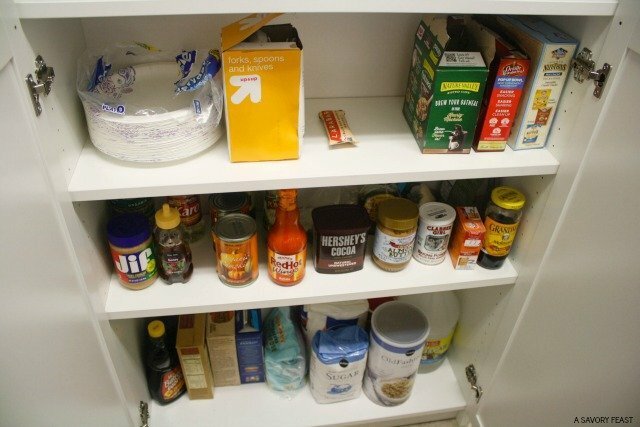 Our current pantry is wayyyyy too deep – something you mentioned – and it’s such a pain! It’s been hard fitting a pantry into our new plans, but it has to be done. I am definitely finding those clear containers for storage – so cute and convenient! Thank you, Joy! That is so exciting to do an entire Ikea kitchen. The Billy bookcase is perfect as a pantry. If you need more space you can add a second one right next to it, but you still don’t have to worry about the shelves being too deep! Pieces like this one are why IKEA is so helpful. I am slowly saving jars to use as containers for rice, quinoa etc. I think i’ll make everything a bit cleaner! I really like using identical containers for dry ingredients. It does give the pantry a clean, organized look. 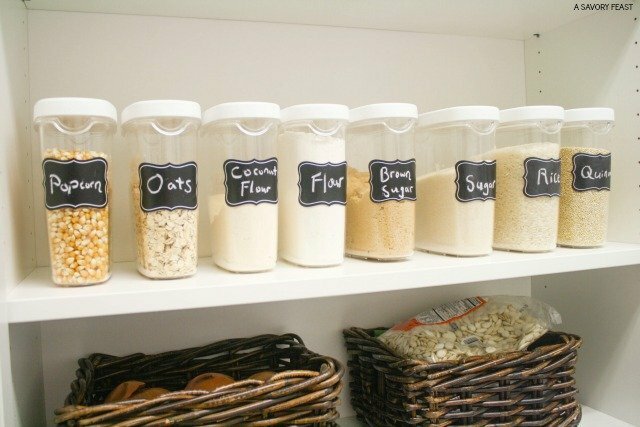 Drooling over your pantry organization! Love it! Visiting from Talented Tuesday party! Thank you! I love being organized and this pantry is one of my proudest creations so far. This is too cute! We did a Billy hack for our built-ins, which I love but I never would have though to do one for the kitchen- brilliant! I stopped by from Talented Tuesday. The Billy has so many uses! It’s been great as a pantry for my house. This looks awesome! I’m totally in love with the canisters and labels. Thanks so much for sharing and for linking up with The Alder Collective. Hope to see you again this week. Have an awesome night! I love how organized the containers look, especially with the chalkboard labels. Thanks for taking a look! I have the Billy Bookcases for books and I love them. I love what you’ve done with them! Thanks, Nina! This pantry has been so useful for me. I’m really happy with how it turned out. Looks so pretty and organized! Thanks for linking up! Thanks, Kelsie! We are loving our DIY pantry. Thanks for stopping by to see it! Thanks for stopping by and checking out my Ikea pantry! I don’t know how I missed this post- but I think it may have had something to do with Greyson being born 😉 Our new house has a tiiiiny pantry and I think this is going to be an absolute must for us! I love this idea. So smart! 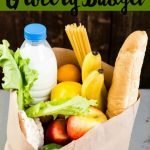 You will love this Ikea bookshelf as a pantry! I’ve had mine for about 7 months now and still love it. I’m needing to redo some of the organization and may even have to add a second bookshelf so I have more room. I don’t have a place to put this myself, Jenna. 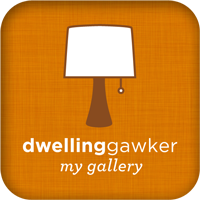 But it’s such a great idea, I’m making a note of this URL so I can refer friends to it. I love the doors you chose. Very smart just having glass at the top. Wow! Such a great idea, adding the doors. We use Laiva bookcase as a pantry, but this one looks so classy!